Sit down, take a deep breath, relax, and ask yourself one question: "Are you having fun with this whole process?" I mean writing the book proposal and looking for a literary agent. If you're not enjoying it you're approaching it the wrong way. One of my graduate school professors used to tell us: "Most professional writers don't work, they play." 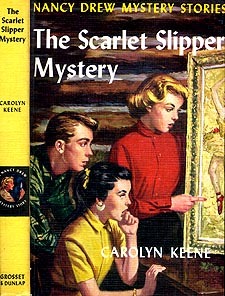 Harriet Stratemeyer Adams, who wrote many of the Nancy Drew series books, treated the whole process like a game. She had the perfect attitude. And I bet you'll enjoy looking for a literary agent for your book proposal when you follow my method, which is outlined on this page. Like doctors and lawyers, literary agent specialize. Some only handle fiction. Others handle fiction and nonfiction. But of those that represent nonfiction there is almost always further specialization, and you'll find agents that handle only cookbooks, self-help, or narrative nonfiction, etc. There are scores of different categories, so finding an agent who handles your type of book is the first thing you'll want to do. Look for agents who handle your type of book. Give extra points to agents from New York City. Find out what the agent has sold. Because your book proposal will be shopped around by your agent to different editors, I recommend that you look for literary agents in New York City, the publishing capital of the world. Although agents from out of town can be good, they can't	easily go to lunch with New York editors — and lunch is an important part of the publishing game. Did you know that during lunch editors and literary agents talk about books that editors are looking for? This helps New York agents get a sense of what books can be sold and to whom. Finding out what titles the agent has sold is a good way to know if the agent will be able to sell your book. If an agent has recently sold a number of books just like yours, the chances are good that she'll be able to sell your book too. Look in books about literary agents. Read introductions to books and acknowledgments, where authors often thank their agent. Read industry journals like Publishers Weekly. Contact the Association of Authors' Representatives (AAR) for a list. Wait until you see how many literary agents are looking for work just like yours! You'll be amazed. I suggest you make a list of eight to ten agents to query. Search for agents while writing your book proposal. The search process will teach you what agents are looking for. The search will inspire you when you see how many agents want your type of book. Draft your query letter at the same time you're searching for agents. What you read about agents will help you write the book proposal and the query. The search for a literary agent should be approached like a game. And if you do it correctly, you'll be the winner when they sell your book. The best way to find literary agents is online.